READER NOTE: Please note this story was part of the Midnight Seduction box-set, which is no longer available. When Cinder Franco finds herself in a new city after fleeing an abusive home, she hopes to start fresh. Her new job may be cleaning up after others, but it pays her bills and keeps her off the street. And right now that is all she can hope for. Ryder Prince has never taken anything for granted. He has worked his way to the top of his career to become one of the most renowned surgeons in the country. But because he has immersed himself in his career, he has found himself alone and detached when it comes to the female population. When he hires Cinder, he instantly sees a light in her eyes. She has been hurt, he can see that, and there is something inside of him that wants to help her. As time progresses and his feelings for her grow, he knows there is something special about her. He wants her, wants to protect and shelter her. 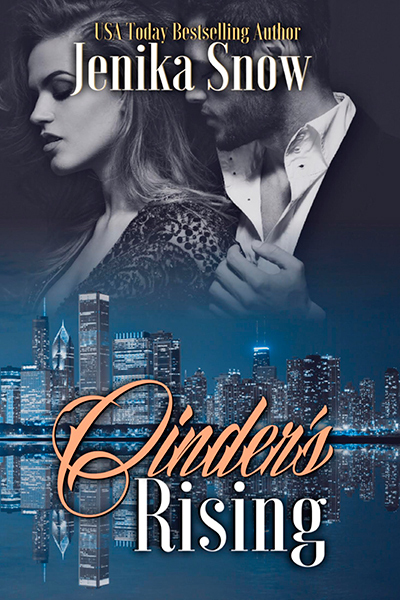 When Ryder has to attend a charity event he invites Cinder as his date, hoping that things can naturally progress forward despite her dark past, and the fears they both harbor. But Cinder flees after her emotions get the better of her, and it is up to Ryder to show her that she is worth so much more than she gives herself credit for. It is up to him to show her that to him she is his world now.